The Finnish electric drive train specialist Visedo has been selected as the sole electric-system supplier for the world’s largest fully electric ferry to be built by the Danish shipbuilder Søby Shipyard Ltd. The ferry will be introduced in June 2017 for transportation of vehicles and passengers between the island Ærø and the mainland in Denmark. As one of the top 5 projects in the EU Horizon 2020 initiative, a program with a total budget of 21 million euros, this initiative is part of the Danish Natura project, which guarantees local people green transportation in these areas. 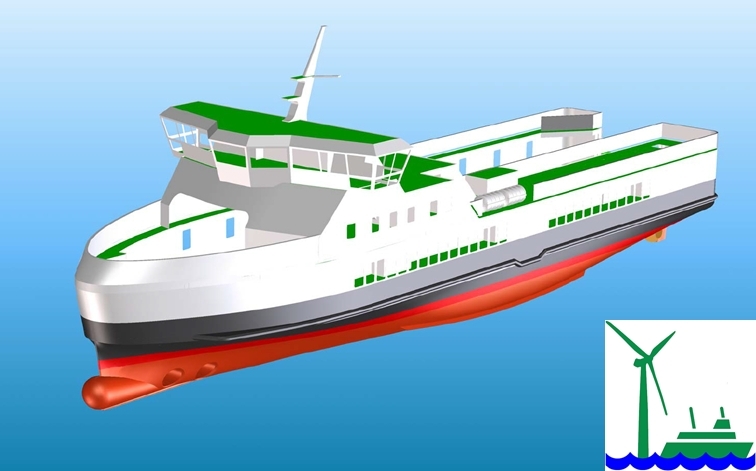 The ferry will be a state-of-the-art design and will achieve efficiency gains by optimizing weight by integrating lighter materials and equipment. It will reduce the CO2 emission by 2000 tons and NOx emissions by 41,500 kg per year. The silent electric propulsion system from Visedo will also reduce the emitted noise level compared to diesel engine operation. In addition, the vessel will reduce wake waves right behind the ferry by 60-70% and it will be able to navigate in the EU Natura areas. The E-ferry design is considered safer and its drive train more redundant than in existing ferries. Earlier on the 4th of May 2015 Visedo already announced a Strategic Cooperation Agreement with the Swiss battery manufacturer Leclanché. Owing to this cooperation Leclanché also received the order for the total 4,2 MWh battery system along with the battery management system developed by Visedo. The market for marine electric vessels is expected to grow from $2.6 billion to $6.3 billion by 2023 due to both the emission regulations and the huge potential of fuel savings.